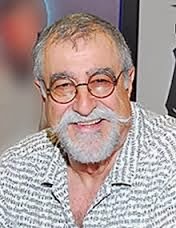 (With this last post of the year I am going to take a break to work on some other projects, but I will return...) Here is the short biography from the National Cartoonist Society on one of the most popular cartoonists around, the multi-talented Sergio Aragones. Born in Spain in 1937, my family left because of the civil war and settled in Mexico. 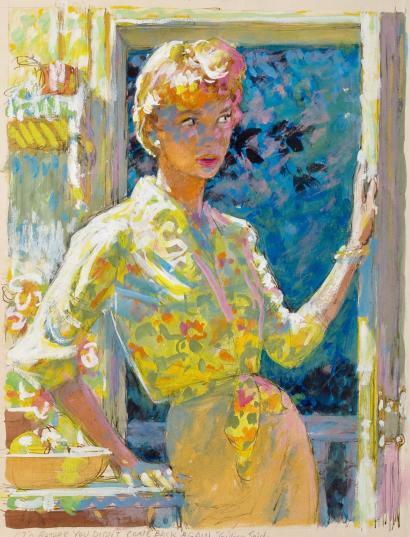 I have always drawn and started selling to humor magazines in 1954. Went to architecture school but spent all of my time mostly drawing cartoons, doing theatre, pantomime, and being a clown in an aquatic ballet troupe. Decided to come to the States in 1962 with twenty dollars and my portfolio. It is really a long story but soon I was working for Mad magazine and freelancing (I am still doing both). 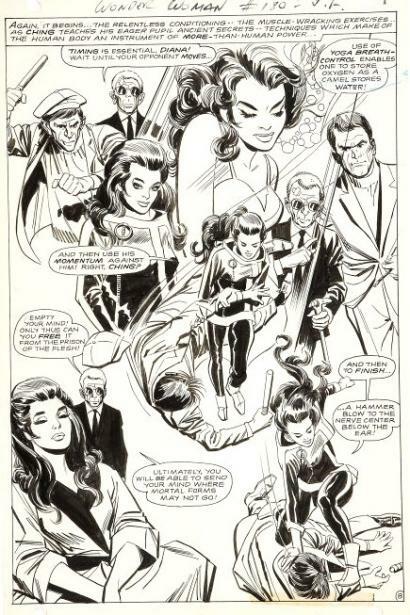 In 1967 started doing comic books for DC (Plop, Bat Lash). 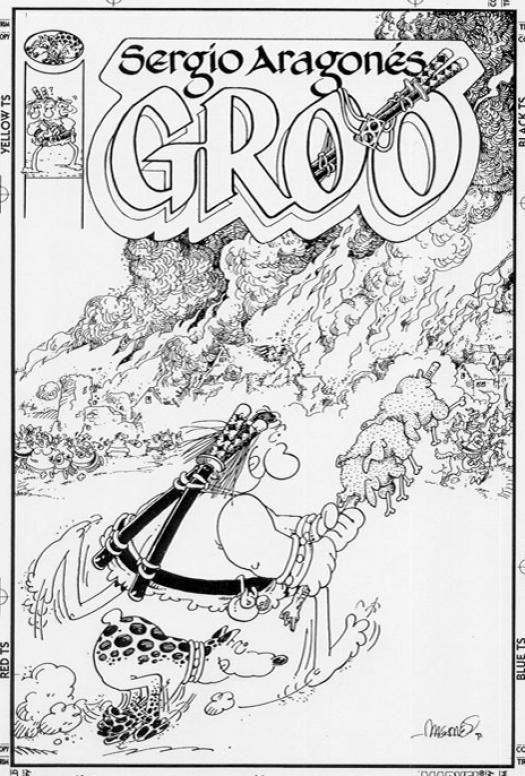 In 1982 created "Groo the Wanderer", then "Buzz and Bell", and ""Smokehouse Five". Published over twenty books and animated numerous TV programs (Laugh-IN, TV Bloopers). Have won lots of awards. Traveled all over the world. Love building model ships, furniture. Have a lousy memory and drink too much coffee! 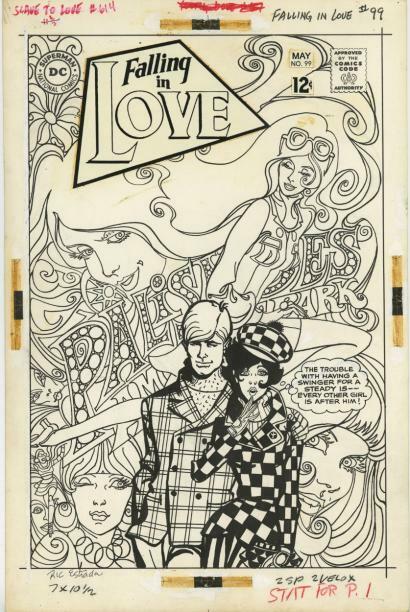 Many times when you see an unpublished cover there are just some slight changes from the original published version. 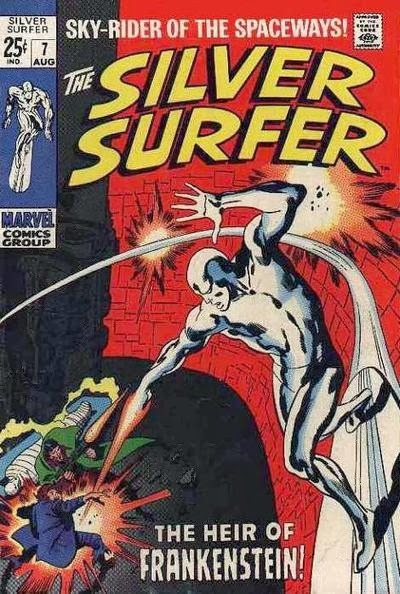 However on this great John Buscema Silver Surfer cover for issue #7, August, 1969, we see a real dramatic change for the better. 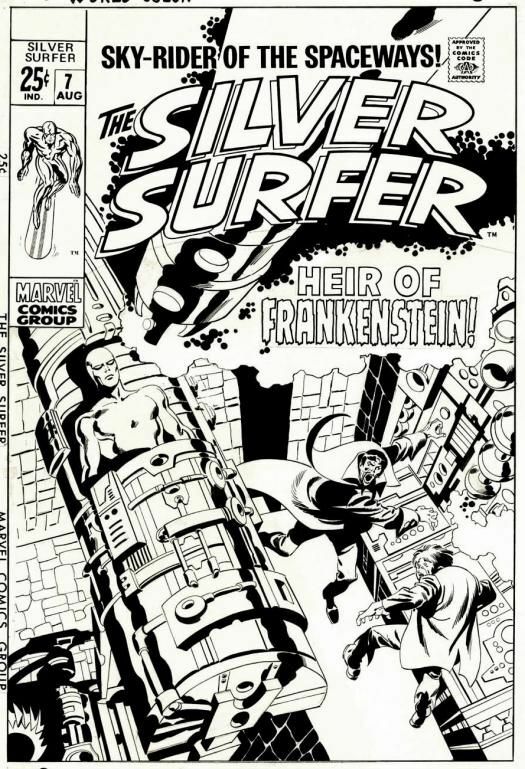 Rather than having our sky-rider of the spaceways a victim of Baron Frankenstein on the unpublished version featured below, the Silver Surfer is appears victorious in his attack against the mad scientist. 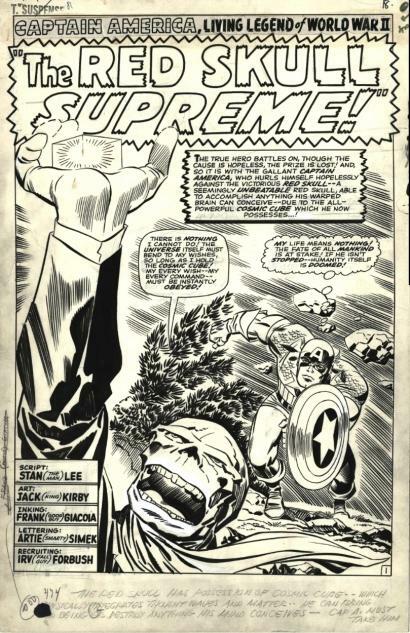 Other than Jack Kirby, John Buscema is the penciller most closely associated with the Silver Surfer and his work on this particular run is one of the most celebrated in the history of comics. 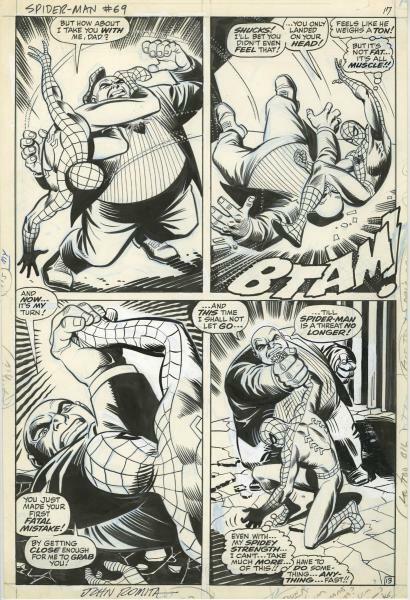 Though the subject matter of the two covers is essentially the same with characters and caption, the second version's composition is much stronger showcasing a larger image of our stellar hero. 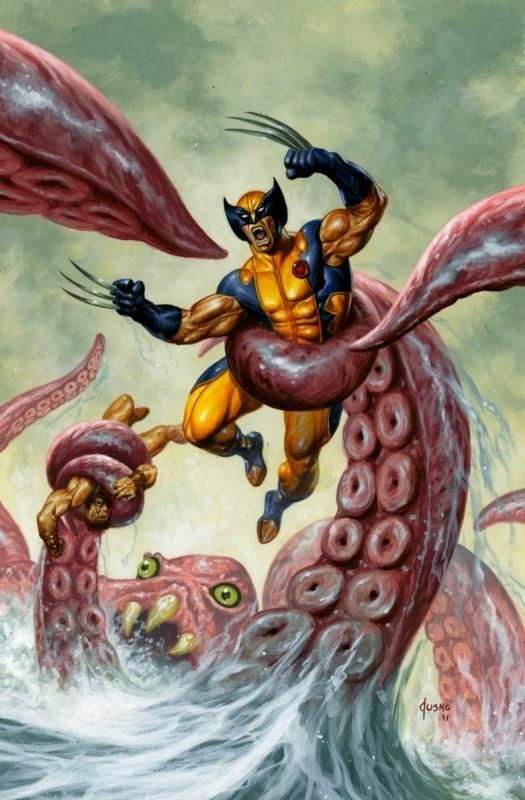 Studying an unpublished cover as compared to the published one gives us great insights into the artist's creative process as well as the standpoint of Marvel's editors of the time. 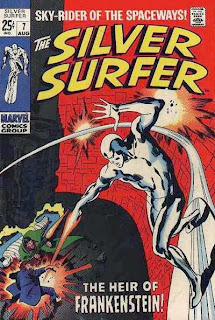 As you can see, the creators first chose to depict a scene within the story where the Silver Surfer is about to be replicated. Fortunately there was a change of heart by someone at the "House of Ideas" and they decided to run the printed version above, though both pieces are great, I think they made the right choice on this occasion. DC Comics, "The War That Time Forgot" series was another of t unusual concept that debuted in Star Spangled War Stories #90 for May of 1960. 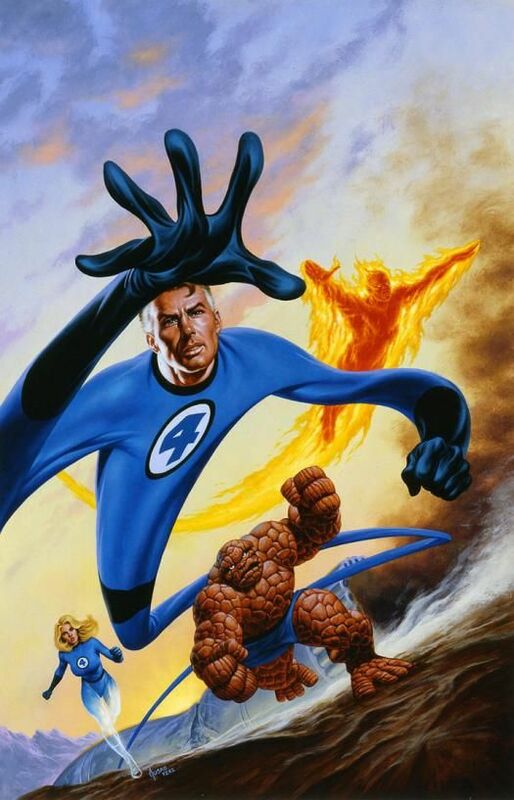 Created by writer Robert Kanigher, and artists Ross Andru and Mike Esposito, it ran for eight years, ending in 1968 but returned as a limited series in 2008. 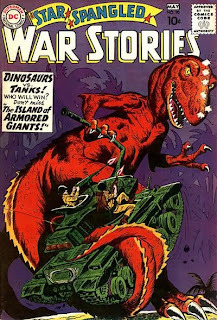 A wild combination of fantasy, science fiction and World War II all rolled into one, the stories featured a group of American soldiers, stranded on an uncharted island during the Pacific War which unfortunately is populated by savage dinosaurs. 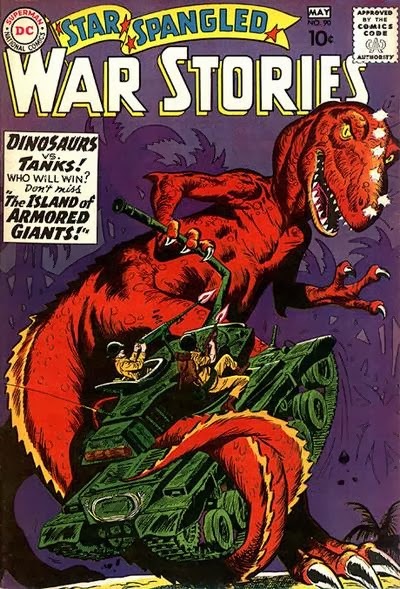 Probably influenced by Edgar Rice Burroughs' "The Land That Time Forgot" series , its very similar as WWI soldiers are stranded on a dinosaur infested land deep in the Antarctic. Our heroes of the early stories were usually not recurring, but occasionally a few brothers would show up like Larry and Charlie, fighting airborne brothers Steve, Henry, and Frank, early prototypes for the G.I. 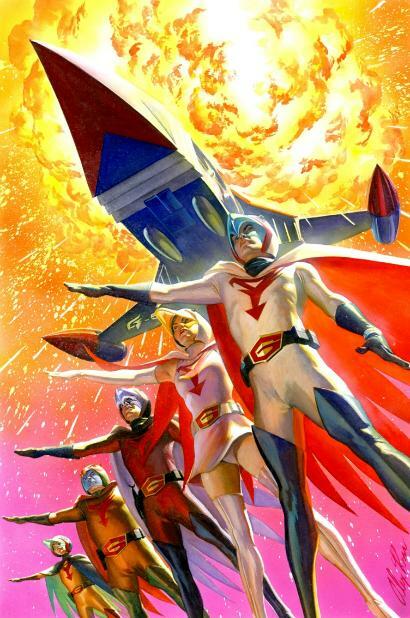 Robot (who would later get his own series), sailors PT and the Professor, the Suicide Squad, and a flying ace, Brother No Wing. 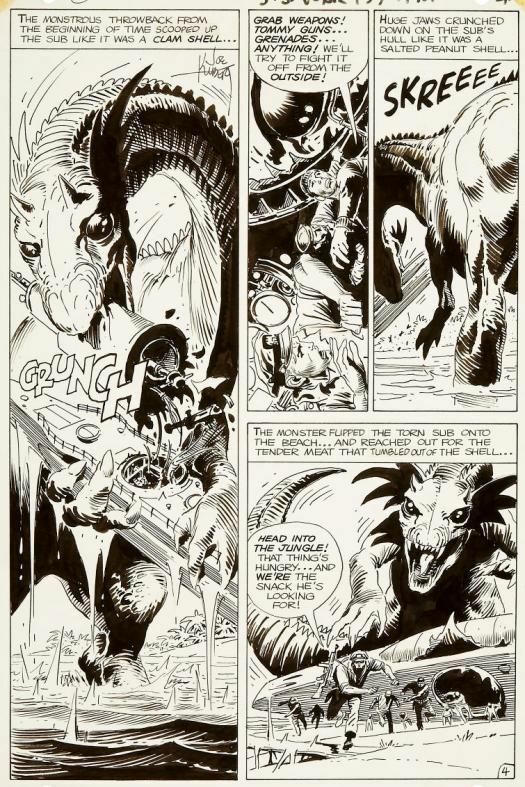 With colorful and imaginative scripts by DC workhorse Kanigher were perfectly executed by Andru's solid pencils and highlighted by Esposito's moody inks. 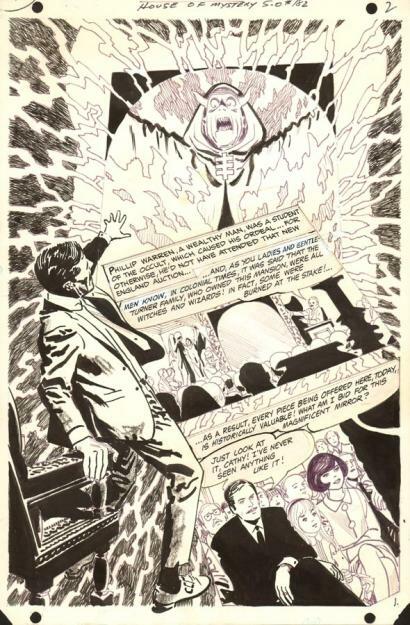 But as the tales eventually ran there course, it was replaced by the Enemy Ace feature, though it did show up in reprints years later and some other titles used the premise in other DC war comics. 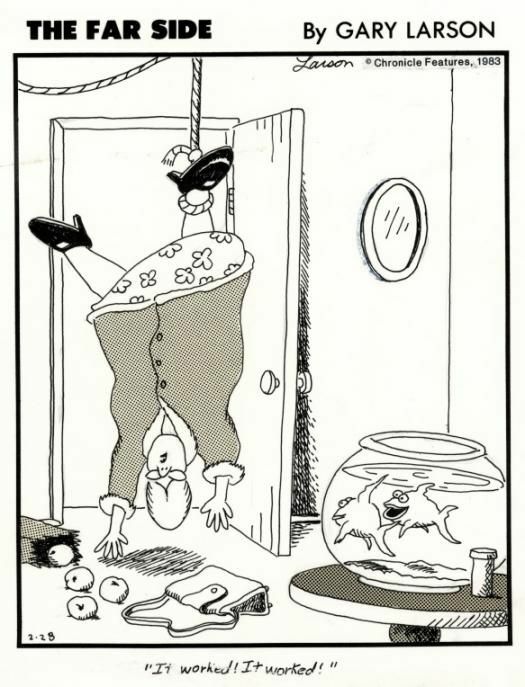 One of the most loved caertoonist of out times,Gary Larson was born and raise in Tacoma, Washington. He drew The Far Side for fourteen years, begining in 1980. and when it ceased publication in the United States on January 1, 1995, the featured appeared in more than 1900 daily and Sunday newspapers. It is still being syndicated internationally and runs in more than 150 newspapers across the world. 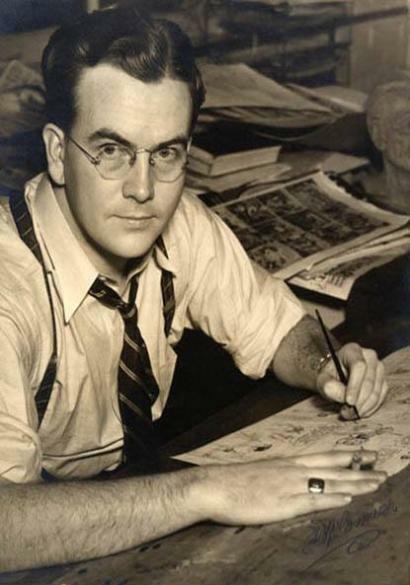 Larson recieved the Ruben Award for outstanding Cartoonist of the Year from the National Cartoonist Society for 1990 and 1994, which also named The Far Side as best syndicated panel in 1985 and 1987. In 1995, the artist won the Grand Prix at the Annecy International Animation Festival for his animated special, "Gary Larson's Tales From The Far Side." He also has the unusual distinction of having the scientific community name a butter fly and a biting louse after him. Larson attributes much of his success to the cafeene in the numerous cups of coffee he drinks daily as well as the enlightening (endarkening?) time his older brother compelled him to spend in the basement as a child. He now lives above ground, in Seattle, Washington, USA. 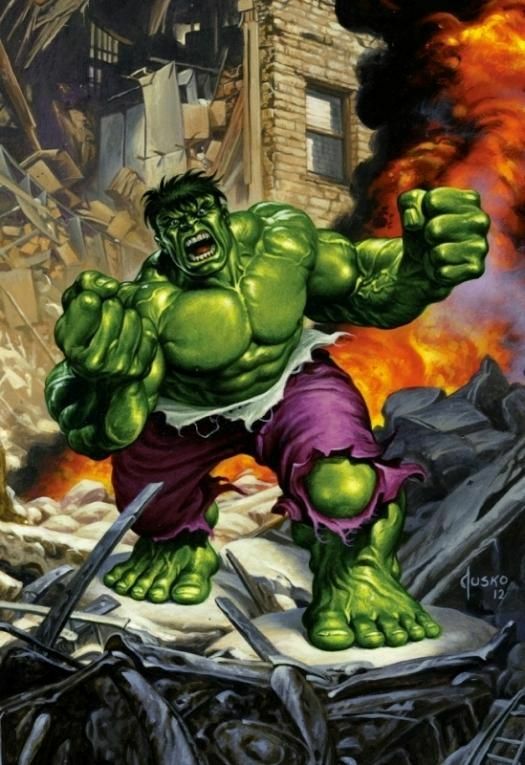 I met Joe Jusko a few years ago in Dallas at a small show and can honestly say he is one of the nicest guys in the business. 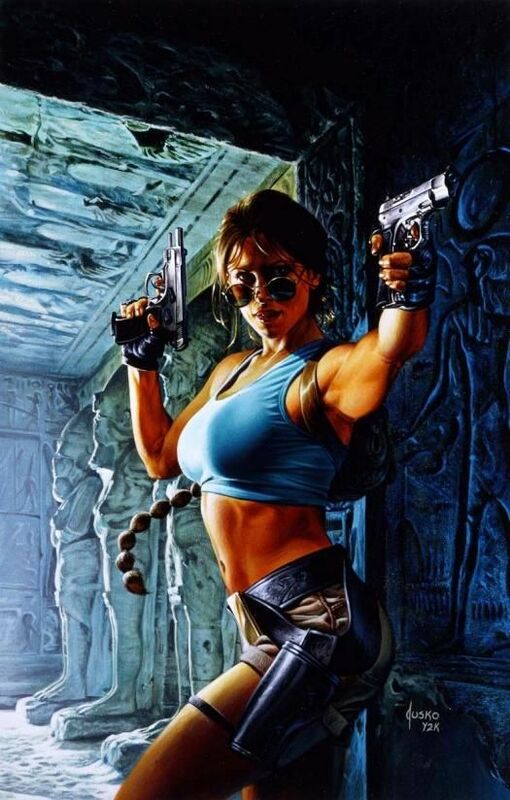 Joe is best known for his realistic, highly detailed painted fantasy, pin-up, and cover illustrations, mainly in the comic book and trading card industry. 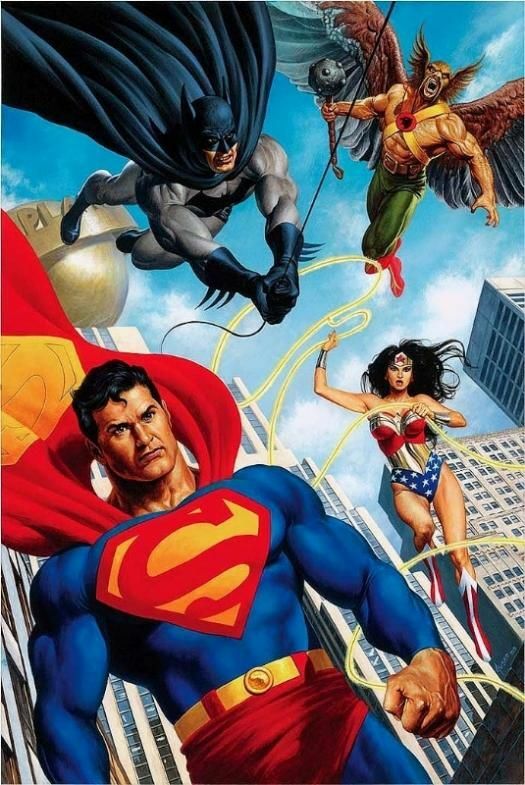 Growing up in New York in the 1960s, he attended the High School of Art and Design and graduated in 1977 with DC Comics Award of Excellence in Cartooning. 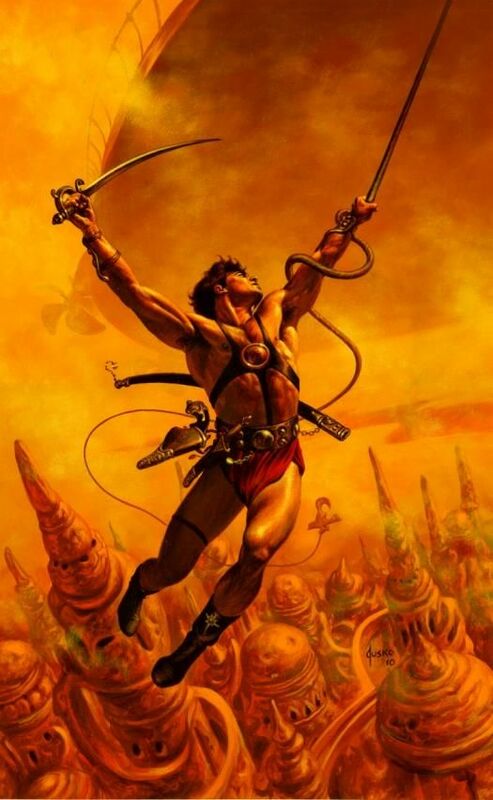 Briefly working as an assistant with Howard Chaykin, Jusko sold his first cover to Heavy Metal magazine at the young age of 17. 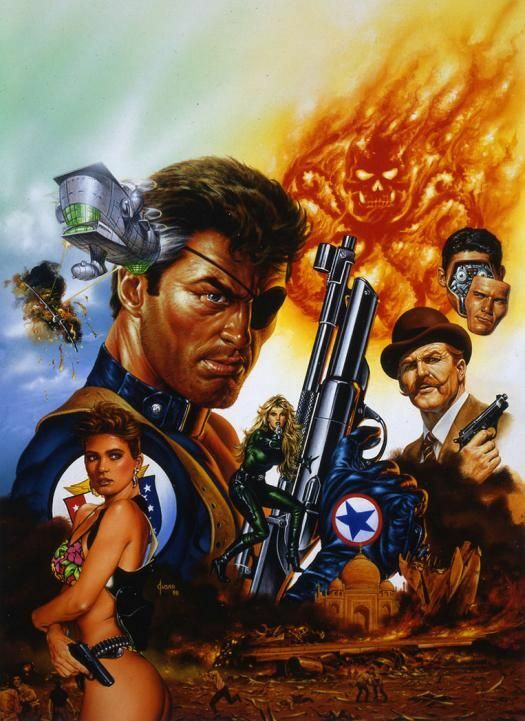 Skipping college, the artist went straight into commercial illustration and eventually worked for almost every major comic book publishers including DC Comics, Marvel Comics, Top Cow Productions, Wildstorm Comics, Crusade Comics, Innovation Comics, Harris Comics, and Byron Visual Publications. 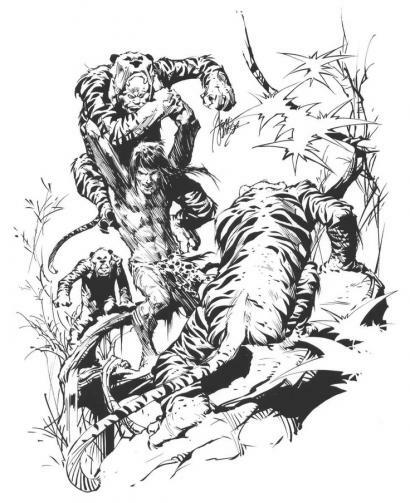 Many fans fondly remember his beautiful cover work on Savage Sword of Conan, The Incredible Hulk, Punisher and many other Marvel titles, as well as his striking images for numerous trading card sets of Vampirella, Wolverine, and the Edgar Rice Burroughs properties. 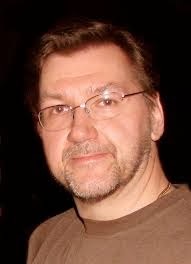 Producing storyboards for ad agencies, he also created exciting images for the World Wrestling Federation. 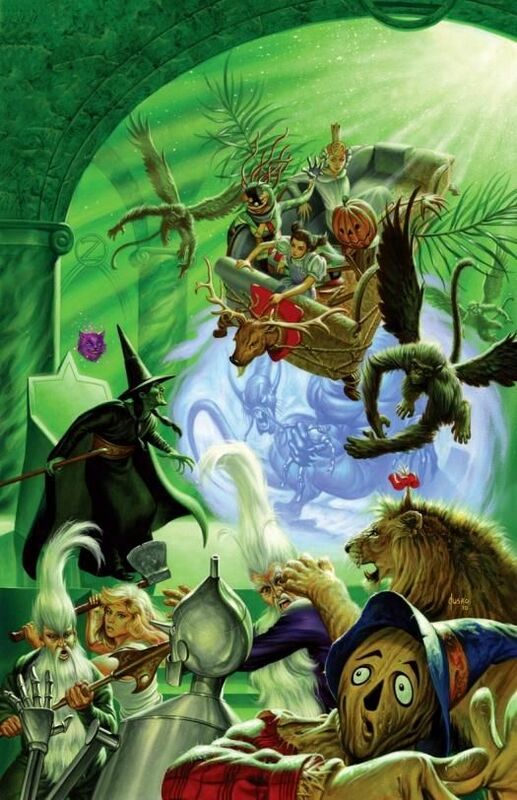 Winner of the Comics Buyer's Guide Fan Award for best painter, the artist also received Wizard's Fan Award and a Certificate of Merit from the Society of Illustrators in his long career.